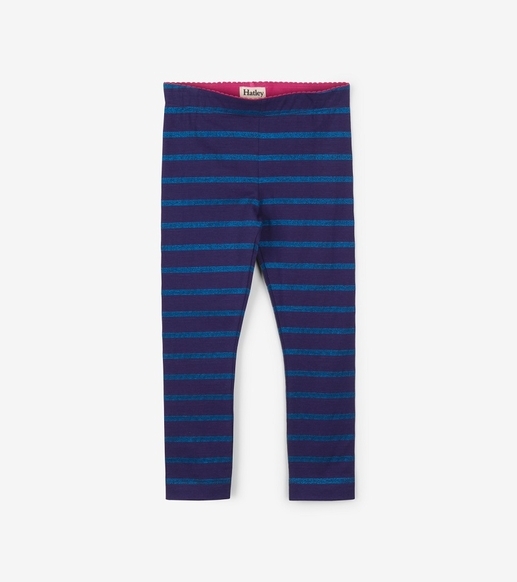 These fun leggings feature a blue glitter stripe set within a deep eggplant purple color. Pair with our Rainbow Dress for a complete outfit. By Hatley.